What is Dermatosis Papulosa Nigra and How Is It Treated? If you’ve got darker skin and have suffered with tiny, pinpoint dark bumps on your cheeks and around your eyes since high school (or before! ), you’ve probably gotten used to the idea of them being around forever. But what if we told you there’s a way for you to get rid of them! Dermatosis Papulosa Nigra (DPN) is a common condition that affects African Americans and Asians. The spots look like tiny black moles and are slightly raised. Women are typically more affected than men, and usually, there is a strong family history of DPN. It usually starts during your teenage years, with a few, small spots. With age, the spots gets larger and more numerous. If you’re tired of looking at yours, there is a safe, effective and easy way to treat DPN. Hyfrecation is a tool that uses electric current to heat individual DPN, which damages the tissue so that the lesion simply fades away after treatment. 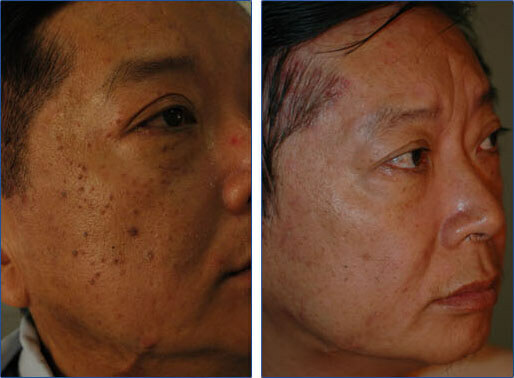 Even if you have hundreds, they can safely be treated this way, revealing clearer, smoother looking skin. If you’re ready to get rid of your DPN, please contact us today. We would love the opportunity to discuss how we can get your skin looking better than it has in years.